Part two of this series, I’ll talk a little about some of the volunteering I have done and then talk about it’s importance. I wish I knew the origin of the word volunteer, but I’m not ambitious enough at this point, or this early in the morning, to go and look it up. I was reading in HR Magazine that (I’ll try to find the article again) that, as millennials, many of us have seen our parents’s 401k accounts, savings, and all other kinds of retirement savings disappear due to the recession, poor spending choices, or many other things. On the whole, this has given us less loyalty for our current/future employers. This is dead on for me, however, I would take it a step further. We definitely understand the need for a steady income, but we also want to do things that help people. We have seen hardship, some more than others, and want to be part of alleviating the suffering of others. Whether it is working for Habitat for Humanity, volunteering in a soup kitchen, or any other number of things. Volunteering has, and will continue to shape our worldview, as it should. I personally volunteered in children’s ministry at my church during middle and high school, have done numerous overseas Christian mission trips, and a lot of other things simply for the fact that I believed I was doing some good by giving my time away. However, the reason I say that volunteering is so important is because, more than my schooling or professional experience, my volunteer work is what has shaped me the most. It taught me love for screaming kids, it showed me the beauty of countries beyond my own borders, it has showed me extreme poverty and extreme wealth, all kinds of things. I remember looking out at slums in India, riding a bus through the mountains of Guatemala, playing with kids in a camp outside St. Petersburg, Russia… so many memories. All of them haven’t been international, but all of them have made me who I am today and are a big reason (if not the main reason) why I’m in the International Development industry. The truth for me, and you can evaluate on your own whether it is true for you, is that when I was in high school (9th-12th grade for my international friends) I had no idea what I wanted to do with my life. I thought I did, but what actually ended up happening is completely different than what I expected, thank God. It was volunteering that got me out of what “normal life” looked like for me as a middle class mid-westerner. It gave me a wider view of my community, my country, and of more parts of the world than what I would have otherwise experienced. However, it was not just the big trips and things like that, it has come in the little things. Sometimes thankless tasks like putting in extra time in my job, helping with menial tasks at home or at the office. Really, what it comes down to is working hard and taking ownership of organizations as a whole. I sought to be involved and responsible for more than just my piddly job description warranted. This lead to several things including, more responsibility, more opportunity, and more satisfaction in what I did on a larger scale. Some assorted thoughts to follow, including the idea of “voluntourism.” Everyone wants their picture taken with a bunch of little kids in a remote village of some third world country. It makes us feel good about ourselves, it gives us something to talk to our friends about, and it looks good on a resume. I am not totally against this idea. I love to share about my travels and other volunteer experiences, I even love the complements that people give when they hear what I’ve done. Yet, I hate being a part of the “facebook” generation. I don’t post on facebook all that often, unless it’s a blog post ;), other than to share funny things with friends, wish people a happy birthday, or to brag on my outrageously wonderful and beautiful fiancee. However, I know a lot of people do. I hate it. I don’t really want to read about how you’re eating a bagel any more than I want to read about your turbulent relationship with your significant other. I have unfollowed a lot of people, and will probably add more to the list. It’s nothing personal, I just don’t really care about what you have to say…. hmm, this post is getting away from me. Back to the point… What is your motivation for volunteering? Is it to help others or is it to make yourself look better? Is it out of a sense of social or moral obligation? These are rhetorical. For me, my parents had to almost drag me kicking and screaming to work with kids at our church. But, I’ll never forget the something my mom said to me growing up. “You’re a lot more likely to act your way into feeling than to feel your way into acting.” While this may not be the case in all things, I think it is important to think about. I would encourage you to volunteer, to travel, to do whatever, because no matter what your initial motivation is, you will learn something. Not only that, but it will force you confront realities that you don’t normally have to deal with. This is good for you, trust me. You should always be careful of your motivation. Being the youngest child, I did learn how to get my way quite effectively while growing up. This has given me the tendency to be manipulative and passive-aggressive. I’m not going to say that these tendencies are completely gone, but recognizing undesirable behavior is the first step to stopping it. Check yourself, constantly and critically. Don’t be too harsh but be honest. Volunteering in strange and various conditions will help you to realize your limitations and weaknesses, it’ll also teach you more about your skill set and what you actually enjoy doing. There is little to no excuse for not volunteering. There are exceptions of course, but for teenagers and college age people, this is something that ought to be made a priority. Not only for you and your own experience, but for the community and world at large. 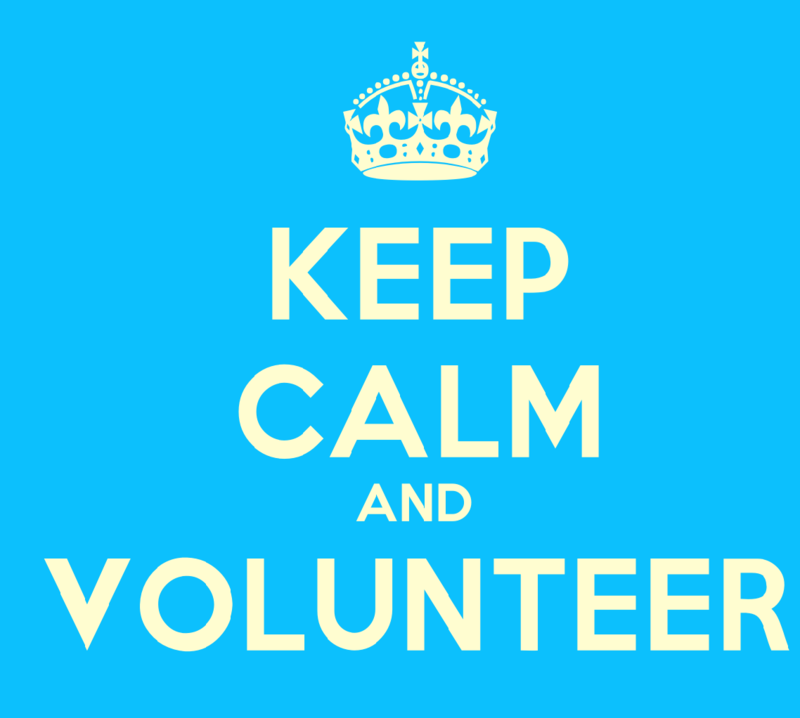 To sum up, volunteering will shape you in ways you won’t understand until later in life. It will give you insight and understanding into situations you might never experience in your normal day to day life. It will give you opportunity to interact with lots of different kinds of people and learn different perspectives. Also, not the least among reasons to do so, it HELPS people! So do yourself and the world a favor, go volunteer somewhere. It doesn’t have to be overseas or be grandiose, but it does have to be a sacrifice. You’ll be glad you did, trust me.